One more pre-MoFo post, before the madness begins..
Las Vegan Cafe is around the corner from my work in Collingwood, and I’ve enjoyed a meal there many a time. 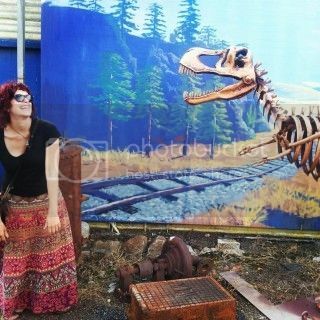 I’ve only ever photographed it once about four months ago, when my friend Liz from I Spy Plum Pie and I met up for a bite of lunch. Las Vegan serve a range of standards, from parmas to pizzas to burritos to salads. The servings are generous, the prices are reasonable, the staff are friendly and they have cake. What more could you ask for? We were having trouble choosing, so decided to share two plates. First up the rice balls, which came with a side of salad and some thick satay sauce. 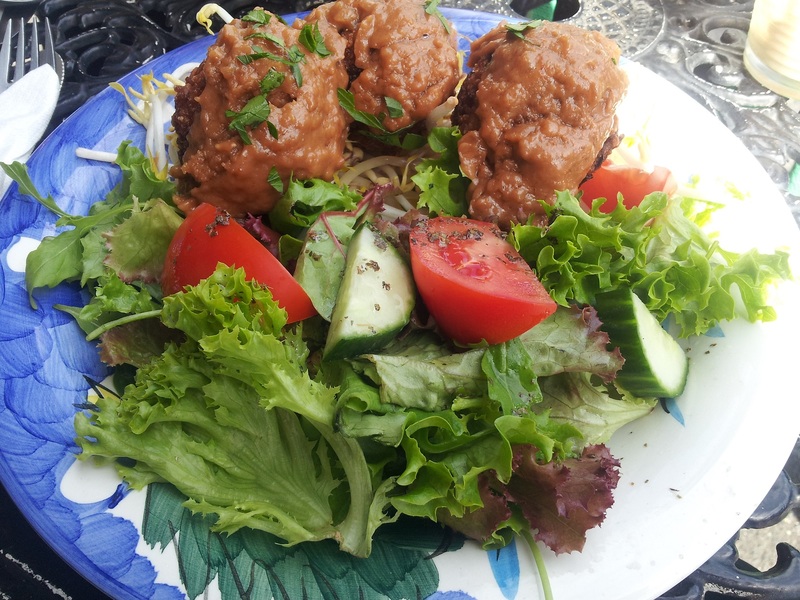 The balls were really crunchy, and the satay was tasty – even Liz, who is an ex-peanut-butter-hater, enjoyed it. And nachos! 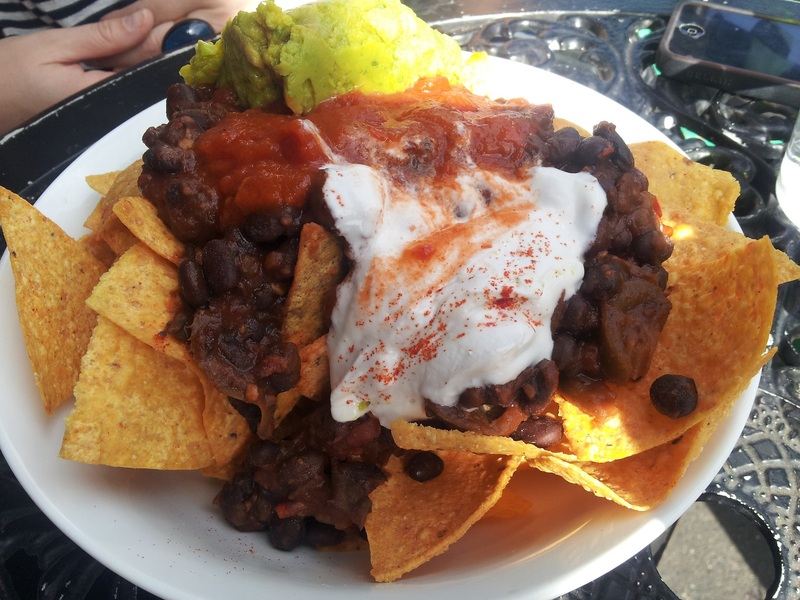 Full of black beans (my favourite bean for Mexican), jalapenos, salsa, sour cream, and a huge dollop of guacamole. Nice thick corn chips that aren’t compromised by the weight of the topping when scooping. Good nachos will always lure me to a place – never been there but those toppings look very generous and exactly what I would want around the corner from work! Am sure I would enjoy the rice balls too but I don’t get so excited by them. Funny you say that – the sound of rice balls doesn’t excite me either, though if I see them and they look appetising I’m more inclined. These were just out of trying to pick something that we could easily share! Those rice balls look wonderful! I think I woukld love that combination of crispy patties and satay sauce.